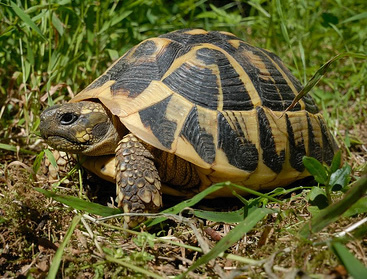 A relaxed wildlife holiday on this quiet Mediterranean island. 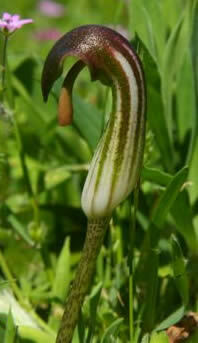 Menorca provides the perfect setting to see birds and flowers typical of the Mediterranean. A small island, a little over 30 miles long and 13 miles wide, its quiet, unhurried atmosphere complements a relaxing wildlife holiday. All parts of the island can be reached easily and quickly so most of the holiday can be spent in the field enjoying an array of birds among masses of flowers. These are set within a landscape rich in archaeological sites, with excellent access to the whole of its diverse coastline along the recently established coastal path. It all has a charm rarely equalled elsewhere in Europe today. 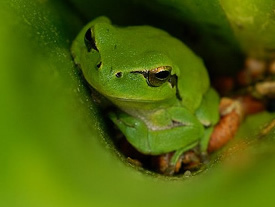 Stripeless tree frog in squill; Hermann's tortoise (IN). While small, the island holds a great variety of habitats. 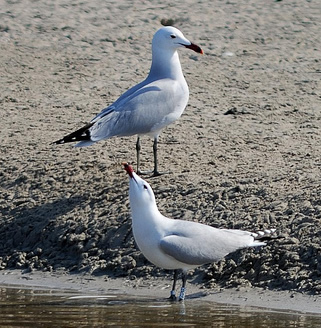 The rugged coasts are spectacular and off-islands provide nest sites for the scarce Audouin's gull. Views of the surrounding sea may reveal Cory's or Mediterranean shearwaters. Lagoons and fresh water lakes hold a variety of waders, plus egrets, herons and even the occasional flamingo. Thekla lark (CG) and Audouin's gull at Son Bou (IN)- two special birds of Menorca. The open countryside is full of birds. Thekla and short-toed larks show themselves from drystone walls; stone-curlews stalk around rocky fields; ravens and tawny pipits are often seen and quail heard. There are often birds of prey overhead. 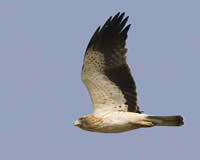 Menorca holds concentrations of booted eagles, Egyptian vultures and red kites. The island provides a stepping stone for birds migrating across the Mediterranean – so anything can turn up. 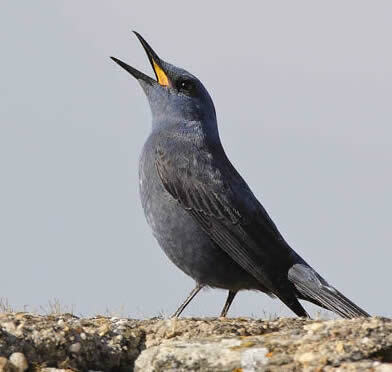 Resident birds include blue rock thrushes, stonechats, moustached and Sardinian warblers. 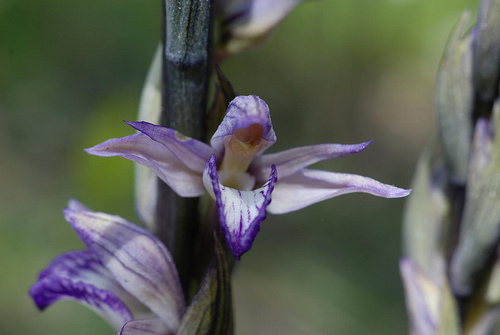 Pastures, coastal rocks and sand dunes provide a range of attractive wild flowers such as mirror orchids and small tongue orchids. 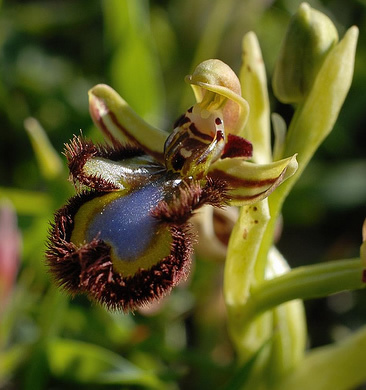 Mirror orchid (IN) and sawfly orchid; both can be found at Matchani Gran. Friar's cowl (Chris Gibson). The island's varied history shows well in architecture and archaeology. Strange stone monoliths, known locally as Torres, date from around 1000 BC. Of later origin are traditional stone huts called Talaiots. Access to these monuments is easy and they are often good places to see wildlife. The small cities of Ciutadella and Mahón are both fascinating. A mix of architectural design reflects the result of dominance by Romans, Moslems and British. Left: Torre d'en Gaumes. Right: Naveta d'es Tudons (CG). 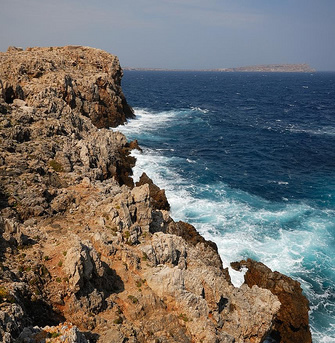 Excursions should include Fornells harbour and the cape and lighthouse at Cavallaría; the hill of Monte Toro; Punta Prima; Cap Favàritz; Algendar Gorge; Mahón harbour; Son Bou reedbed and dunes; the saltpans at Mongofre Nou; the seasonal wetland at Tirant; plus various short excursions or local walks. Calescoves (also known as Cales Coves); Punta Prima (CG). Matchani Gran, our holiday base, is a Menorcan farmhouse near Mahón delightfully converted for private guests or small groups. It has a swimming pool and terrace, all set in 10 acres of countryside complete with hoopoes, Thekla larks and Hermann's tortoises. Flights: Scheduled easyJet ﬂights, London Gatwick to Mahón. It is possible that other options will emerge after the demise of Monarch (1 October 2017) as Monarch previously had five flights on these dates to Menorca from a range of airports. Chris Gibson has recently taken early retirement from Natural England where he was based in north Essex. 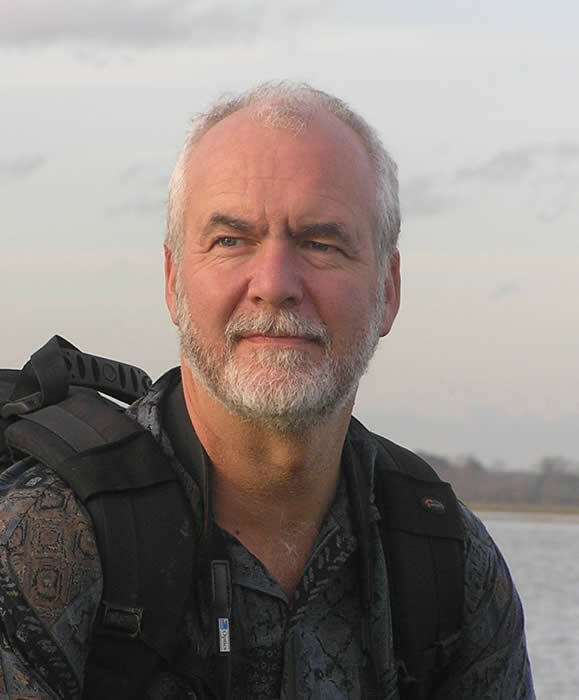 He is an author of several wildlife books and has led many holidays for Honeyguide. 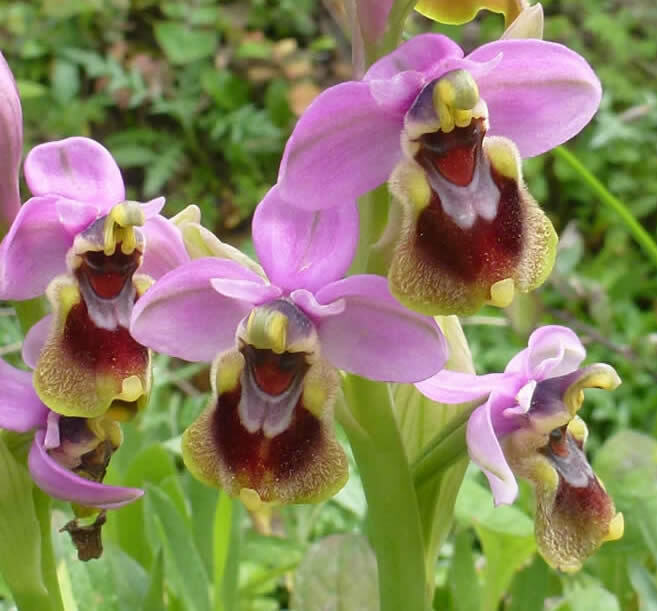 He is an outstanding all rounder, from birds through flowers to moths, and recognised as a ‘naturalist of distinction’ by the British Naturalists’ Association. 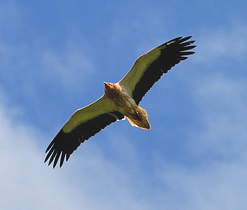 The Grup Balear d'Ornitologia i Defensa de la Naturalesa (GOB – the Balearic Ornithological Group) is an active local organisation working to protect the Balearic Islands from overdevelopment. A current project is 'Agronatural Farms' in Menorca - wildlife-friendly farming - and we are supporting this project in 2018. You can read more about this on GOB's English website here or on a PDF here. Our donation in 2018 is supporting the restoration of farm cisterns for farming and wildlife. More information and photos on Honeyguide's Facebook here. GOB is campaigning against major 'improvements' on the main east-west road on Menorca between Mahón and Ciutadella, involving large road junctions that seem inappropriate in scale and the amount of land-take. There is more information on www.gobmenorca.com/savemenorca (scroll down to read in English). You can read Honeyguide's letter to the authorities on Menorca here. Ten reasons to visit Menorca with Honeyguide here. Little egrets, one great white egret and greenshanks. Chris Gibson's Photos on Facebook from October 2016. Gallery of photos by Honeyguiders. For anyone visiting Menorca without Honeyguide who needs a wildlife guide, we are happy to recommend Javi Mendez of Menorca Walking Birds. To read more about the history and language of Menorca, click here to download a pdf. 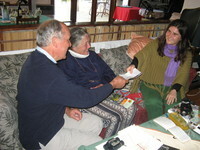 Honeyguide leaders Robin and Rachel Hamilton hand a cheque to Montse from GOB Menorca (picture by Shevaun Mendelsohn). 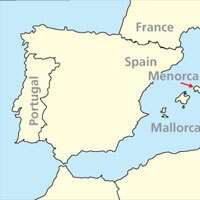 Since 1993, Menorca has been a Biosphere Reserve, designated by UNESCO. "... diversity characteristic of nearly all Mediterranean island ecosystems." The UNESCO citation lists a range of natural features, including gullies, nesting sites for birds of prey and aquatic birds, caves, wetlands, woods of oak & olive and the mosaic of landscapes. More information from UNESCO here. Photos on this page mostly by Chris Gibson and Ivan Nethercoat.